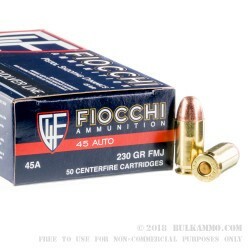 This Fiocchi 45 auto ammo is great for a full day at the range honing your craft. 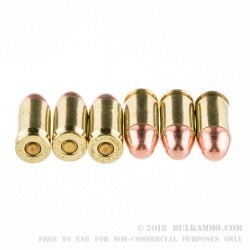 This ammo is loaded with standard 230 grain full metal jacket projectiles loaded into reloadable brass cases. As a note, most 45 hand loaders prefer large pistol primed cases and these use small pistol primers. 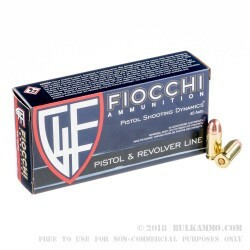 This ammo is loaded near Springfield, MO by Fiocchi which traces its roots to Italy but due to the growth in the US market has increasingly turned to US production to help serve its US customer base. SA XDs defense conceal carry choice favorite. 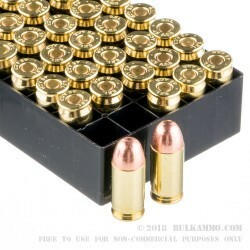 The rounds are ok for target shooting. No feed issues, a bit dirty and not as accurate as I've seen with PMC..